Plexidor Pet Doors: Are there hypoallergenic cats? Many believe that a cat or dog breed being hypoallergenic means they can't cause allergies. That's not entirely accurate - hypoallergenic means that something has a smaller risk of causing allergies, but it can still happen. There are no non-allergenic cats or dogs, but there are hypoallergenic cats breeds. Many also believe that allergies are connected to the cat's coat, but that's not always the case either. Most people are allergic against proteins from the cat's skin oils and saliva. These proteins are in turn distributed on shed fur. This means that some cat breeds - with fur - are gentler for persons with allergies than others. The Balinese is a good example. These cats are sometimes called the "longhaired Siamese," but despite their coat they produce little of the protein that causes allergies. This is also true for the Russian Blue and the heavily coated Siberian. Bengals certainly aren't hairless, and they produce just as much of the protein as many other breeds, but their coat is so fine that they don't have to groom themselves as much as other cats. That means their hair carries less of the protein. Another upside of the Bengal is that they shed little, so what allergens are present won't be spread around as much as with other breeds. Cornish Rex is another breed that works well for many with allergies. They're not entirely hairless, but they only have an undercoat. Since they're less hairy than other breeds they also shed less, and cause less allergies. The Sphynx cat is completely hairless. 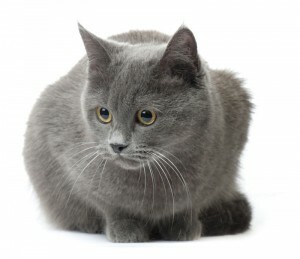 They have no fur that can trap allergens and shed around the house, and the allergy-causing substances stick to the cat.